Transform your mason jars into a cold brew maker and enjoy the smoother, more flavorful, less acidic taste. This filter fits right over the wide mouths of two mason jars to sieve out the coffee grounds. 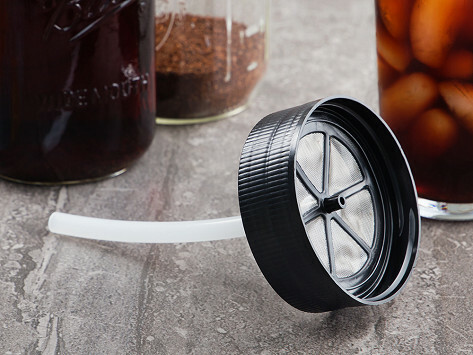 Dimensions: 3.5" diameter x 1.25"
This filter is easy to use with standard canning jars to create delicious cold-brewed coffee. The price is very reasonable. 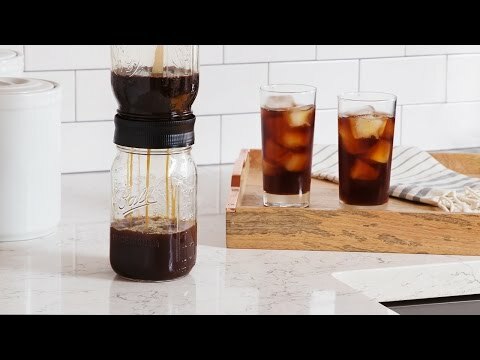 Makes cold brew coffee Easy!! Can't tell you you too much as I bought it as a gift. But so far my friend is having fun with it as she works out the ratio of water to coffee. These filters are such a great invention. The cold brew is great for supplementing the frozen coffee cubes I use to make coffee frappes'. Received the BRUW and am pleased with the ease of use.